My Morning Skincare Routine | hi Sugarplum! 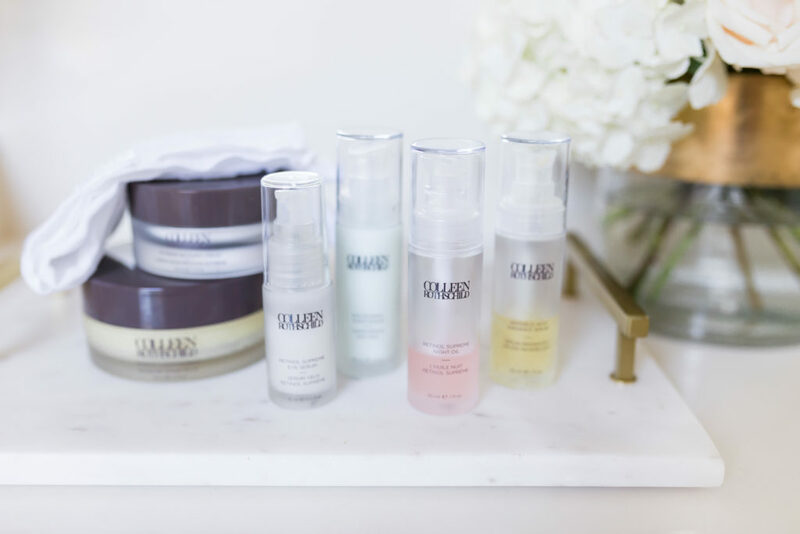 I’m really excited to share today’s post with you, mostly because it’s a brand I’m passionate about, but also because it’s a topic that comes up a lot in questions and comments here, and on my social media channels…my skincare routines! 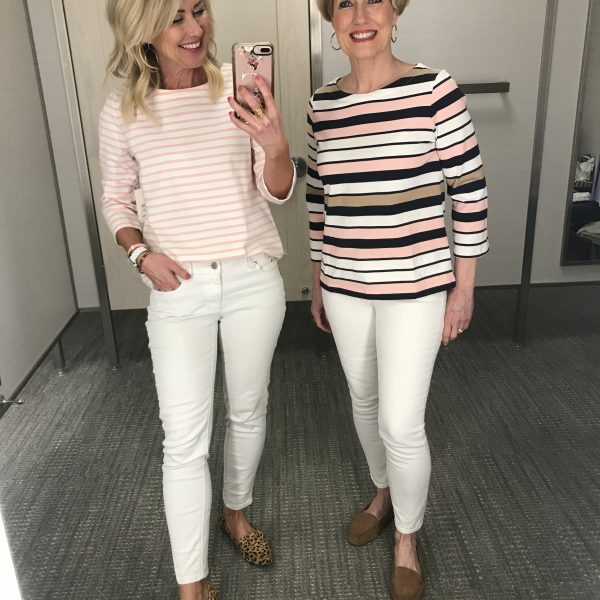 Each new product made such a difference in my skin, that I continued adding new ones, and now she dominates almost my entire skincare routine. 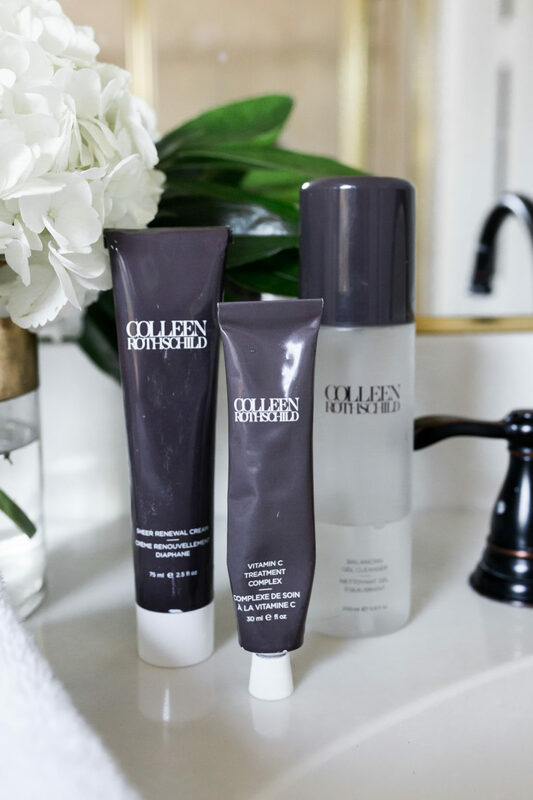 In fact, every person in our family now uses at least one product from the Colleen Rothschild line (including Mama Sugarplum!). These are the products I use every morning, and the order in which I apply them. It only takes a few minutes, and leaves my skin fresh and ready for make-up, or even nothing at all! one. 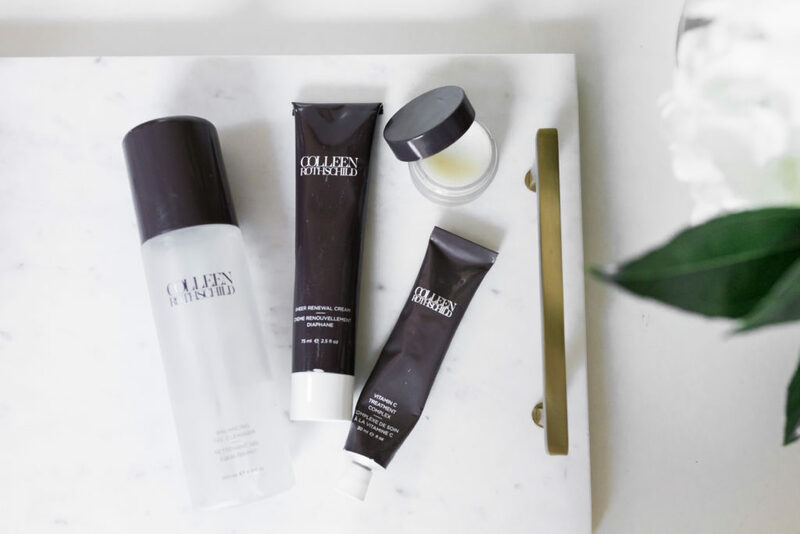 Balancing Gel Cleanser // This clear gentle formula creates a soft lather, and removes oils and remnants of sleep, without leaving my skin dry or tight. A single pump is all I need, and the bottle lasts for months and months. 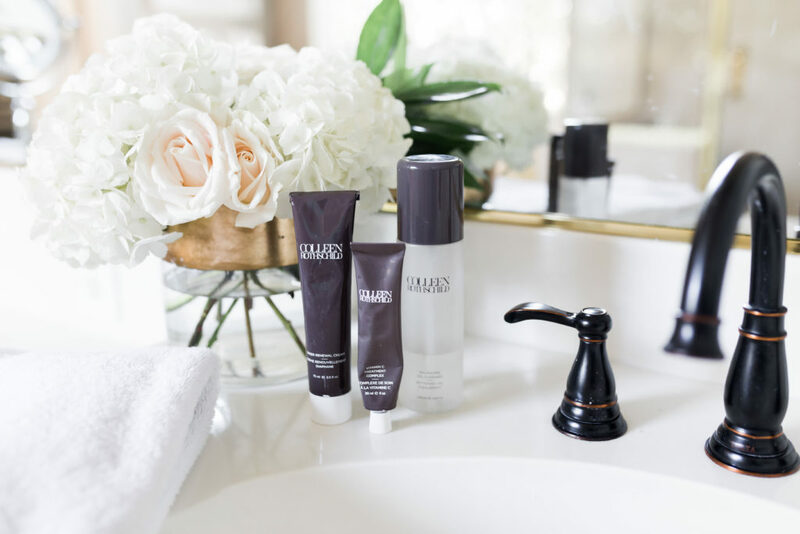 I use the Radiant Cleansing Balm at night for cleansing and make-up removal. two. Vitamin C Treatment Complex // This thick, creamy formula improves natural radiance and clarity while protecting against environmental toxins like pollution, stress, and sun damage. This potent form of vitamin C helps reduce the appearance of dark spots and stimulates collagen production, leaving skin more even and radiant. three. 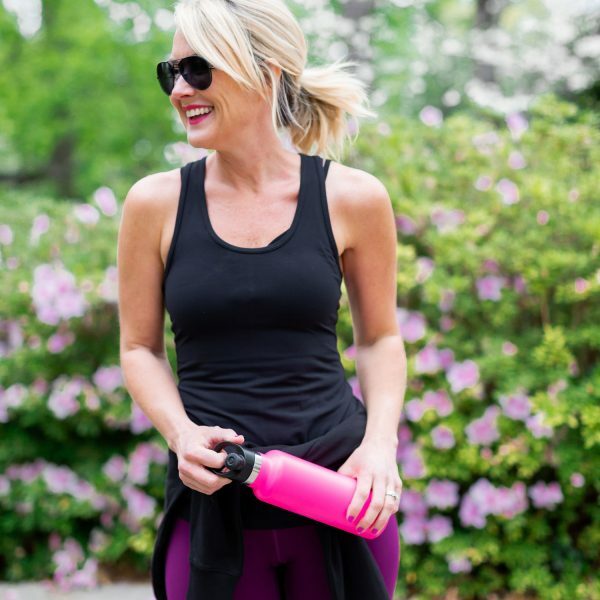 Age Renewal Super Serum // This product is the newest to my arsenal, and I was just using it at night, but recently added it to my morning routine, too. I figure I need to double-down on anything called ‘super serum.’ It’s more of a cream than serum, but a single pump covers my whole face and helps fight the six signs of aging: texture, dehydration, elasticity, fine lines, radiance, and tone. I think if you only used one serum, this one covers all the bases! It’s incredibly moisturizing and leaves my skin bright. four. 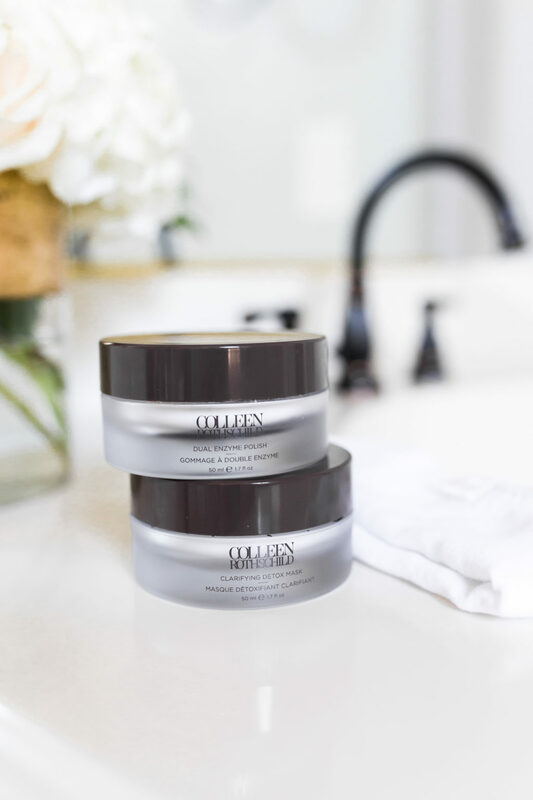 Sheer Renewal Cream // Lightweight and breathable, this oil-free moisturizer leaves my skin looking plump and hydrated, with a touch of dewy glow. The weightless formula also diminishes the appearance of fine lines. It’s the perfect day cream and base for makeup. I doesn’t contain SPF, but I get that in my CC Cream. (See my five-minute everyday makeup routine here.) If I’m feeling particularly dry (like in Winter), I add a layer of Face Oil No. 9. 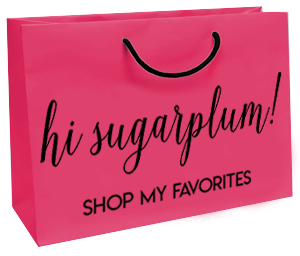 Sugarplum Tip: Remember to treat from hairline to bra line. I don’t always put product on my chest, but I’m vigilant about including my neck! Rub any leftover product on the backs of your hands. Sheer Renewal Cream | Vitamin C Treatment Complex | Balancing Gel Cleanse | Buy the Bundle & Save! I talked about masks in my Evening Routine post, but these are so good it’s worth mentioning again! Twice a week I do an evening mask, and alternate between these two. The mask comes after cleansing, but before serums and moisturizer. 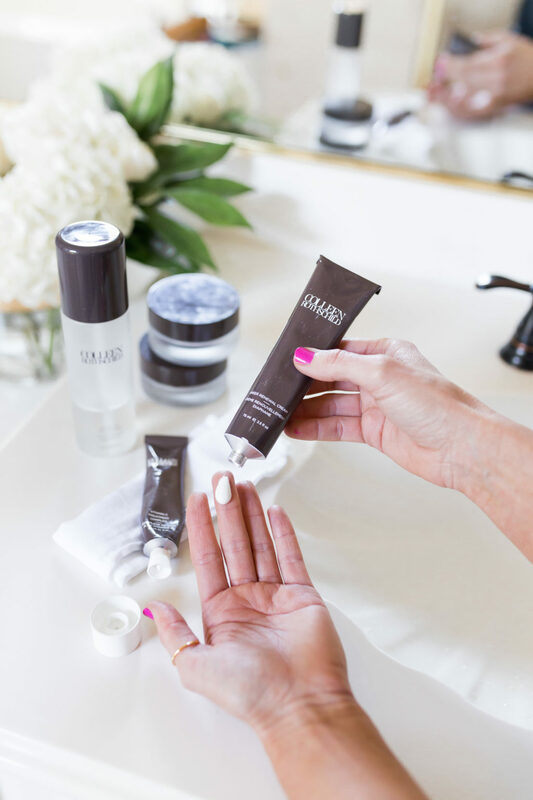 Dual Enzyme Polish | Clarifying Detox Mask | Buy the Bundle & Save! I’m convinced these products have made a difference in my skin. But don’t take it from just me, check out all the reviews, too…so helpful to hear other’s point-of-view and opinions. If you’re new to the brand, I’d recommend starting with the 7-Piece Discovery Collection. 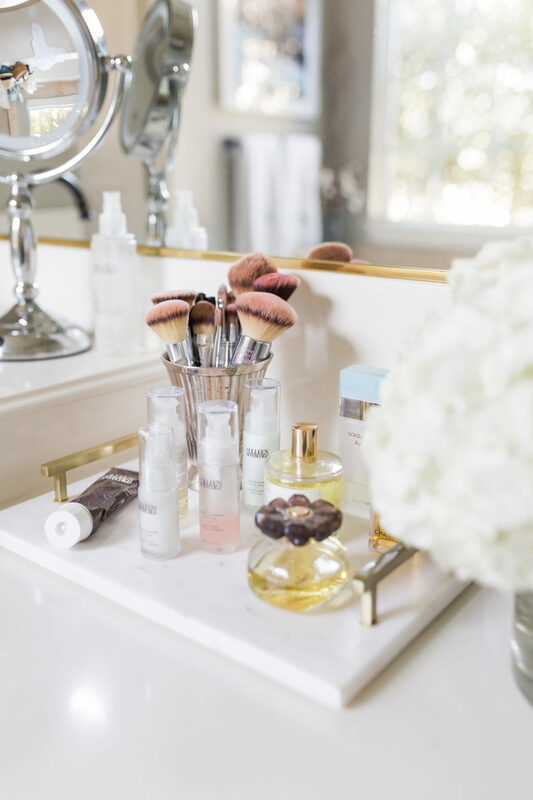 But I’m often asked which products are my absolute must-haves…which is kind of like trying to choose a favorite child…but the Radiant Cleansing Balm, Sheer Renewal Cream and Dual Enzyme Polis are the three most over-stocked in my bathroom cabinet. The addiction is real! And don’t forget to use FRIENDS25 for 25% off your total order, and free shipping for all orders over $49! And they ship worldwide! What’s your morning skincare routine? Do you have a daily moisturizer you adore? See more of my Beauty posts here. P.S. Have you entered to win the entire Gibson x Hi Sugarplum Collection yet?! The giveaway closes tonight and the winner will be announced tomorrow! 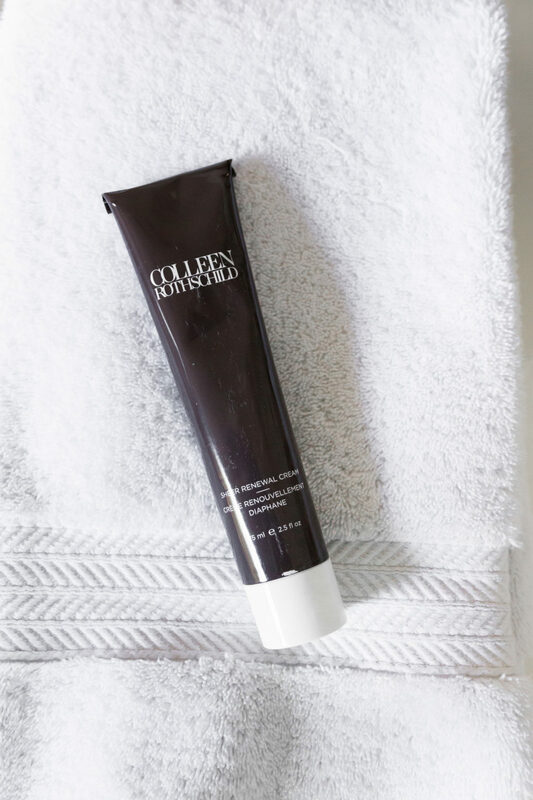 Colleen recommends using it in the morning too…I think it acts as a ‘shield’ protecting you from the elements. I use nighttime for the anti-aging products, and day for moisture and protection! I hope that helps! For as much as I love beauty products, why have I never tried this brand????? My question is what does your Mama Sugarplum use? Her skin seems flawless and youthful. I’ve wondered that too. And even if she doesn’t want to show a bare to done video, would she be willing to tell what make up products she uses? Thanks! 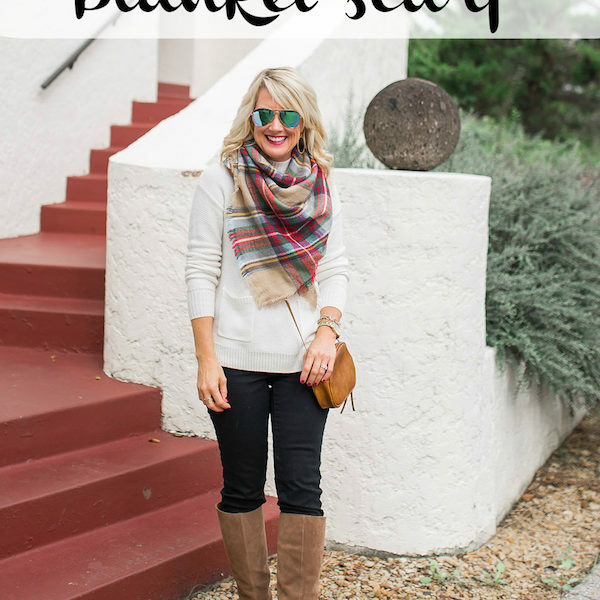 Love your blog and am so excited for all your successes!! I took your and Megan’s suggestion and ordered the Discovery Kit first. Loved it. I placed another order…..and another just this morning for 25% off. Thanks for the suggestion and all the info. That’s was me several years ago…first one, then another….now my counter is stocked with CR!! 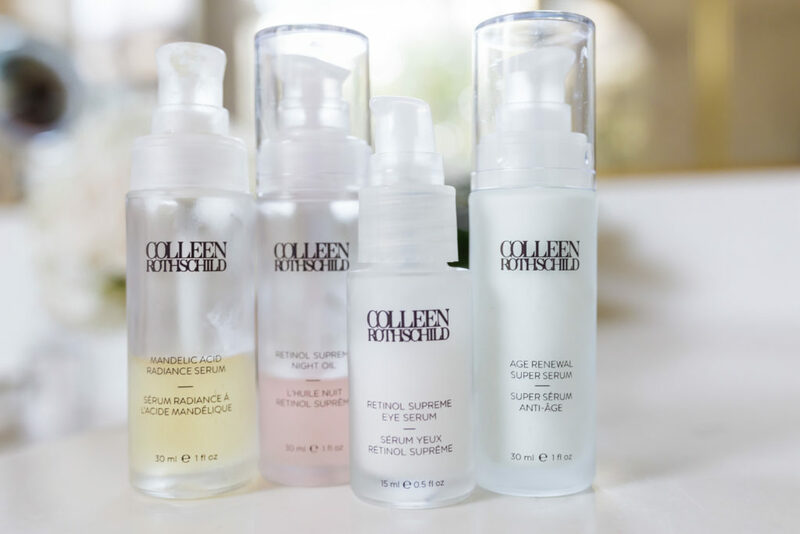 If you’re going to just use one serum, I’d probably go with the Super Serum…it combines a lot of the best stuff available. But Retinol is really important for us at this age, and her Retinol Serum is the best I’ve ever tried. No flaky skin patches, and I wake with more moisturized, plump skin!! I’m SO EXCITED about these new bundles!!!! Great review! Ok, I just ordered the Discovery Kit. Can’t wait to try it. Also can’t wait for May 29th!!!! So excited for you and all your success. Thanks so much, Kathy!! And I hope you love the CR products as much as I do!! Just placed my first order for the skincare that you use! Got both the morning and night products! YIKES! Excited to try something new after using the same brand for the last 8-10 years. 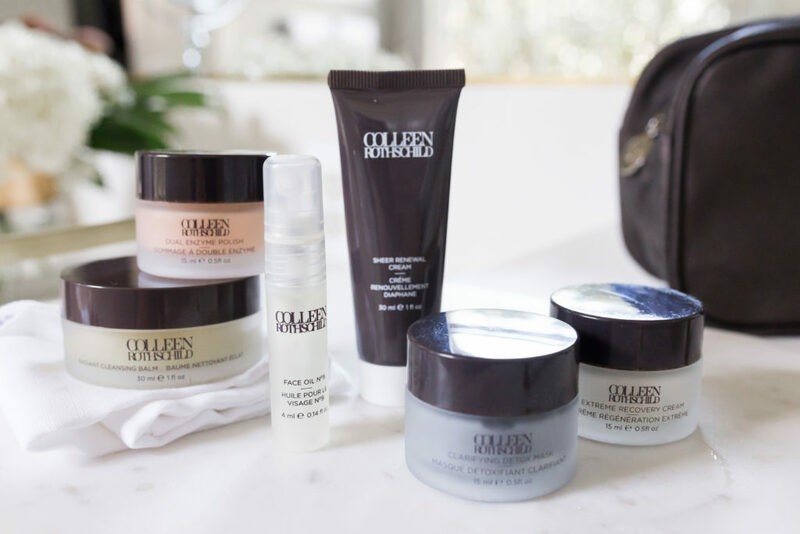 Your skin is beautiful – Hope I will look just as good! Hi there! I am a gal in her 40s and have been using Bobbi Brown and Murad..but would love to switch to something wonderful! 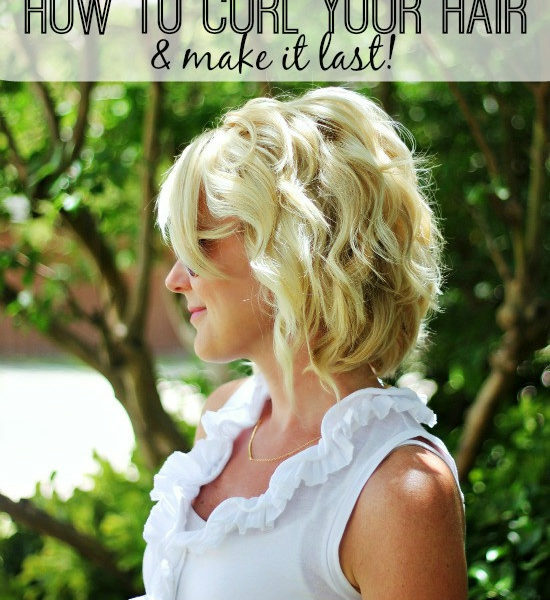 Is there a place locally (I live in DFW area) to try Colleen Rothschild or talk to someone about it? Thanks in advance! Hi! Love your blog❤️, Do you think the radiant cleansing balm is gentle enough for a tween? Or what products if any do your kids use? Thank you so much for all your awesome info!! Thank you, Kelly! Yes, it’s very gentle! my 12-year old daughter has very sensitive skin, and loves it! She also uses several of the moisturizers. My teenage son uses the detox mask to spot treat acne, and sheer renewal as his moisturizer. Even my husband loves it…he uses the Face Oil No. 9!